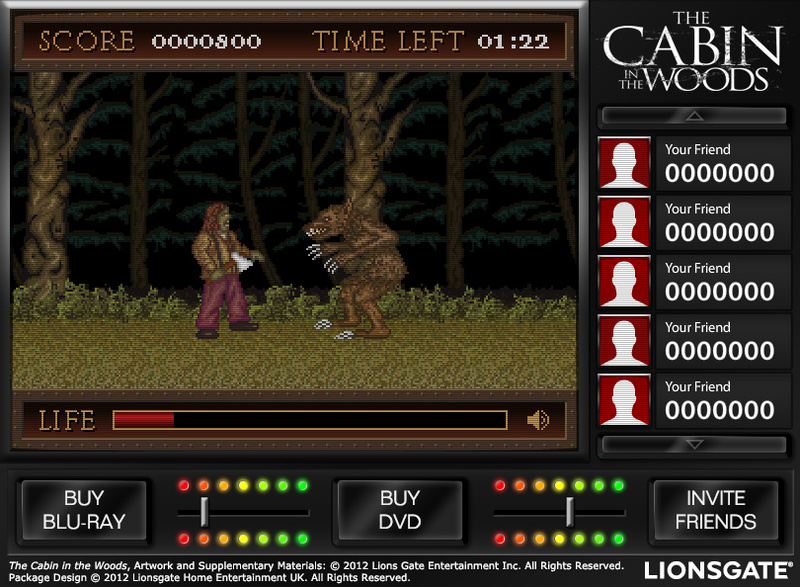 We were commissioned to create this Flash game to help promote the film ‘The Cabin in the Woods’ for the UK DVD and Blu-Ray release. The game was fully integrated with the Facebook games platform for competitive scoring and social sharing. You take on the role of the zombified Matthew Buckner from the movie in a bid to become the ultimate monster slayer. The game was inspired by some of our favourite arcade games of the late 80’s and early 90’s that we grew up playing, with retro pixel art visuals for the main gameplay area.